Beauty is in the eye of the beholder as the old saying goes, and our teeth are no exception. While there are no set in stone rules as to what constitutes a perfect smile, there are a few general factors and characteristics that define healthy, beautiful teeth. But our teeth are constantly under the pressure and strain of normal wear and tear associated with our lifestyle, and everything from the food we eat to the natural aging process. Porcelain veneers are a versatile and affordable solution for the most common cosmetic dental imperfections, and your ticket to a new and improved, more attractive smile. the surface of your tooth and molded to achieve the desired size and shape. 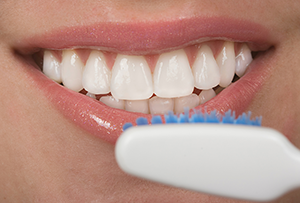 In some cases, a thin layer of enamel may have to be removed to ensure a natural and smooth fit. Porcelain closely matches the color and texture of a natural tooth, making veneers a highly effective but subtle treatment for the cosmetic imperfections that diminish a smile over time. To learn more about the cosmetic dentistry options available to you, contact Metro Dental Associates by calling (973) 538-2563 to schedule an appointment with a Morristown, NJ dentist today.